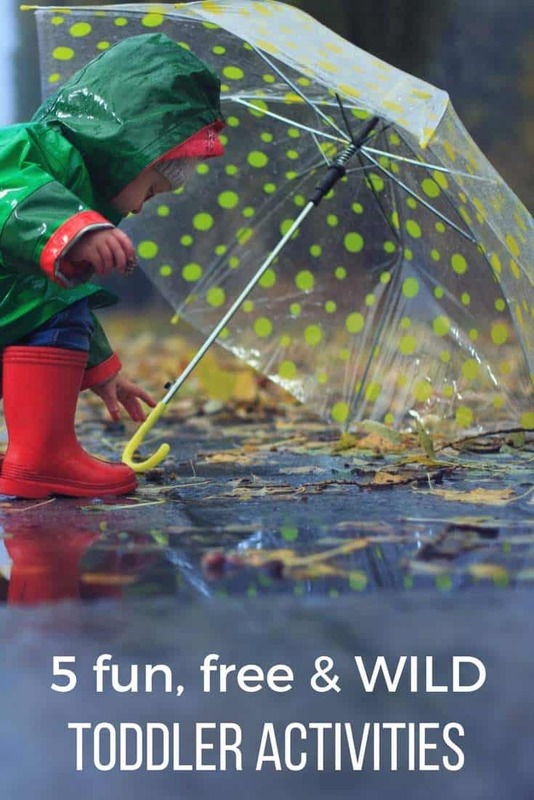 Children naturally want to explore. 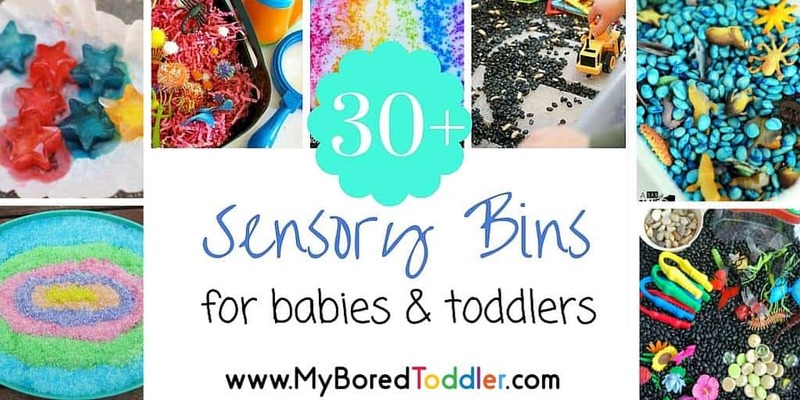 Different sensory activities can help children improve motor skills and are often therapeutic. Learning through play and exploration often leads to a much broader range of education that is not recognised immediately. When I was younger I used to love exploring ant tunnels, armed with a fork I would chip away at the dirt’s surface to expose the tunnels throughout. What I didn’t realise is just how much I learnt about Ants until later years when I could connect my experiences when studying Entomology in high school. My own children prefer playing with things they can mould, cut, paint and glue. Commercial toys in our home often collect dust, they are true explorers. 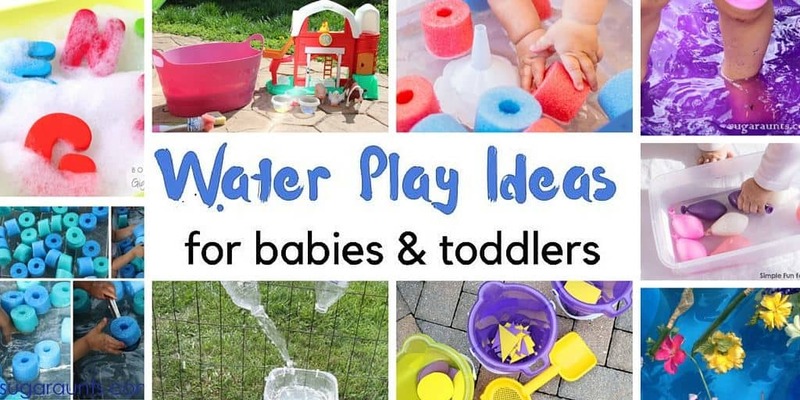 If I purchase toys I often look for items that can be tied in with outdoor play and exploration. There are so many basic activities that are available to you with no entry fees, no travel costs. All you need are the ingredients involved which are usually already at home outside or in the pantry. Research suggests Mud has some interesting benefits. If you’re really uncomfortable with letting your child in any old mud I recommend buying a plastic sand pit and using sand and water play for a similar experience. Plastic cooking utensils can be picked up at thrift stores for a bargain price. New are often in $2 bundles at dollar stores. There is something about “adults” kitchen items that has more appeal to a child. Your child can now do pretend cooking with safe plastic egg flips & large spoons without your everyday kitchen items getting ruined. Kids love REAL food for play. 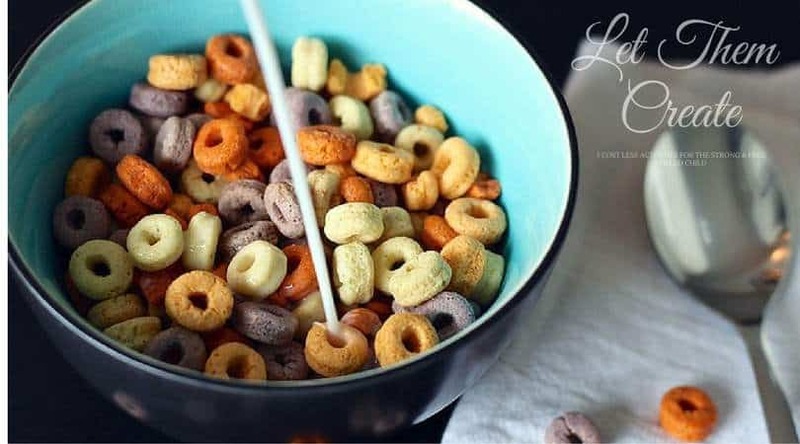 Fruit Loops, Cheerios & Nutri Grain are a great example for threading necklaces. Threading real food is explorational and aids the development of your child’s motor skills. It can also have beneficial educational perks. Learning with play is often underestimated. While threading children are taking notice of colours, counting, distribution and texture. Then feeling accomplishment when the project is finished, which builds confidence every time. Playing with Rice has some fantastic sensory perks. The feeling of rice between a child’s fingertips can be both therapeutic and stimulating. Creating Different Coloured Rice is easy and lasts for ages if stored correctly. 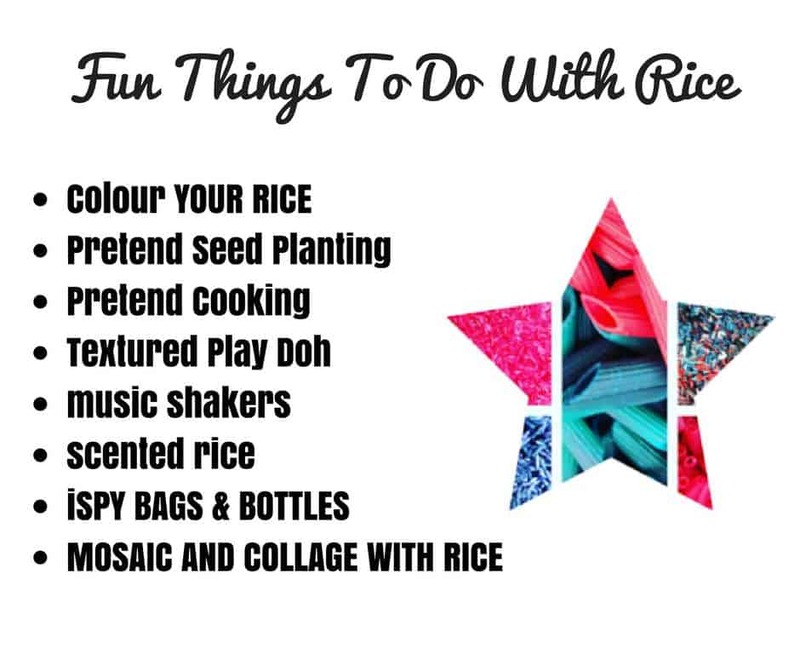 Rice is great for children who like to touch everything and on the flipside is suitable for children who are uncomfortable with touch as despite being hard it is also a very gentle tactile sensory activity. Pasta can also be used in a similar way but with the extra benefit of being able to thread on a string. Pasta also has a larger surface for gluing objects, this is easier for children who are still developing fine motor skills. 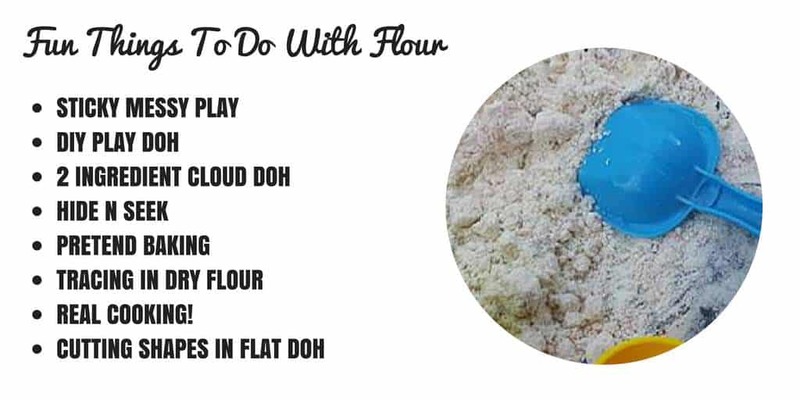 Flour can be used for many things, especially play dough. You can let your child explore the senses with different textures of flour and consistency. Some kids love a gooey mess, let them play. 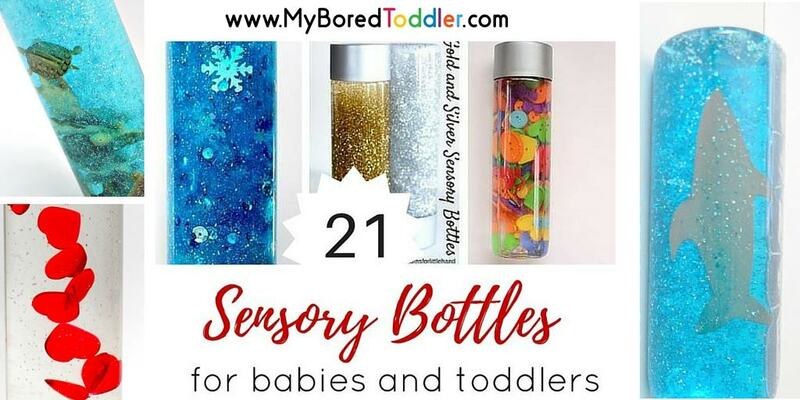 Another activity which is a little less of a sticky disaster is Sensory Flour made with two ingredients. It’s easy to make and not as messy as flour and water. 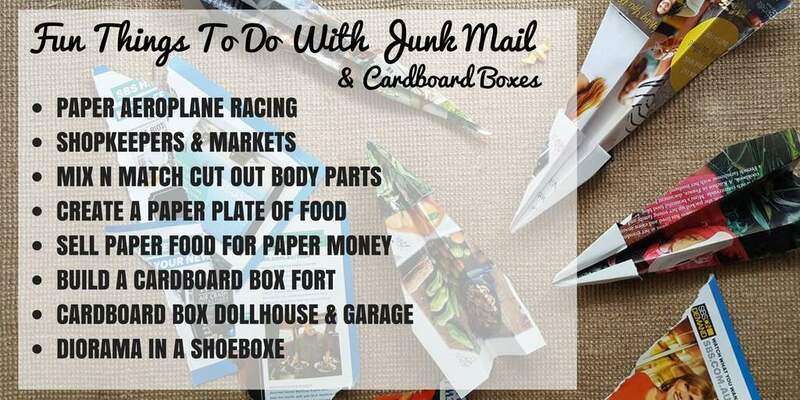 Keep your junk mail! We love cutting out the heads and sticking them to other people’s bodies. Sometimes we give people broccoli ears and carrot noses. Higher GSM junk mail is fantastic for paper planes. Our old boxes we convert into cubby houses and “shops”. We often cut out food from cooking pamphlets as food to sell in our cardboard box store. These are the kind of activities that get us through the winter school holidays as they can be done indoors, but are still explorative and fun. Kate is an Australian blogger, mother and lover of superheroes in tight pants. 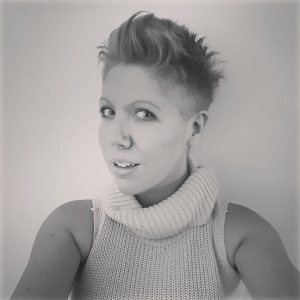 You can find her at Australian Mum and follow her on Facebook, Instagram, Twitter and Pinterest.